2 bedroom, 1 bath condo. 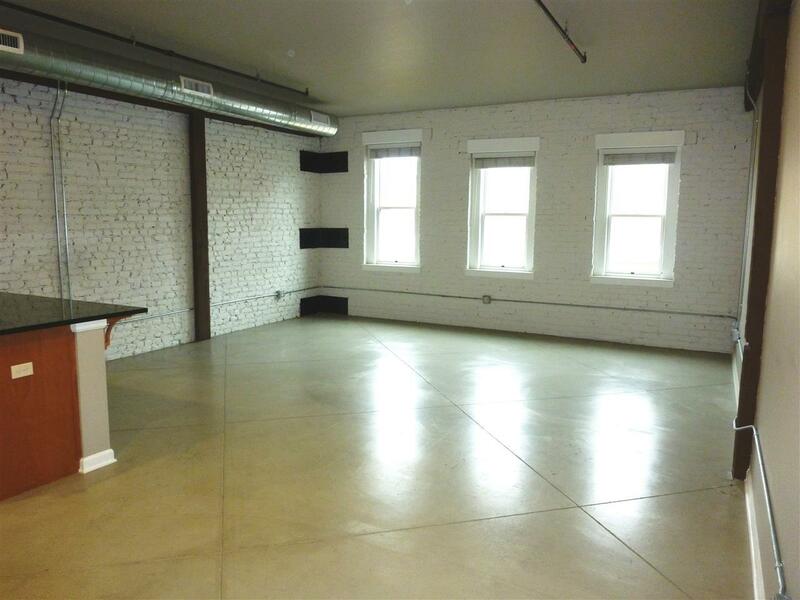 Exposed brick walls and ceiling rafters with concrete floors. 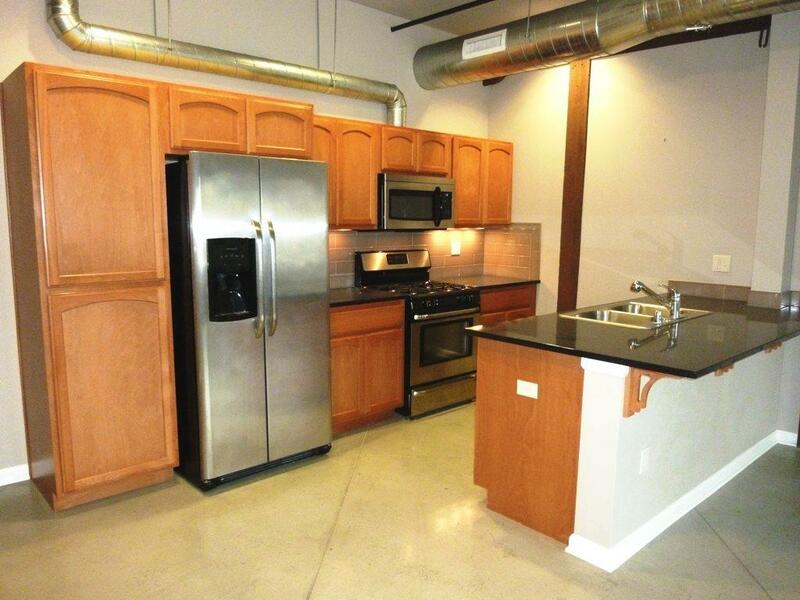 Open great room design with granite counters and gas range in the kitchen plus a stacking washer and dryer in the unit. Forced air gas heat and central air conditioning. 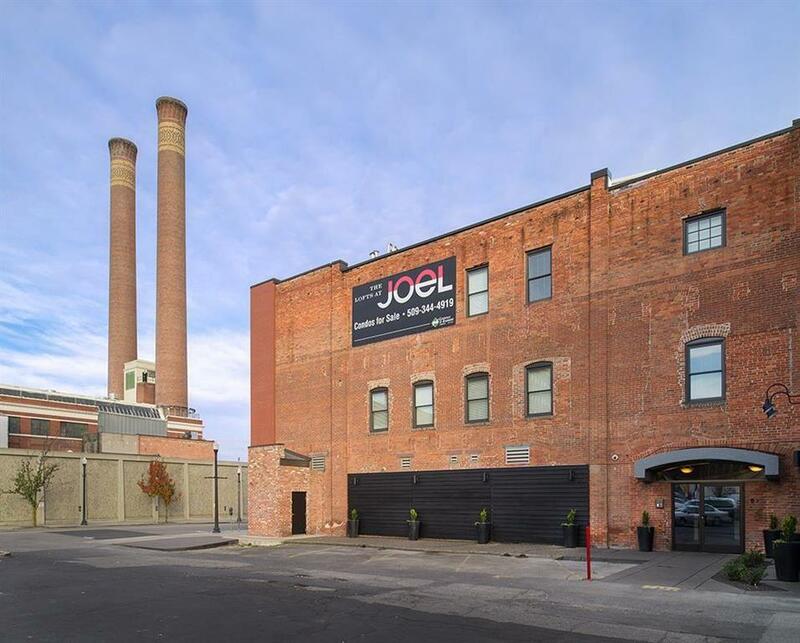 The Lofts at Joel is a 3 story building, 16 units in total with elevator and secure parking spaces + visitor parking out front. 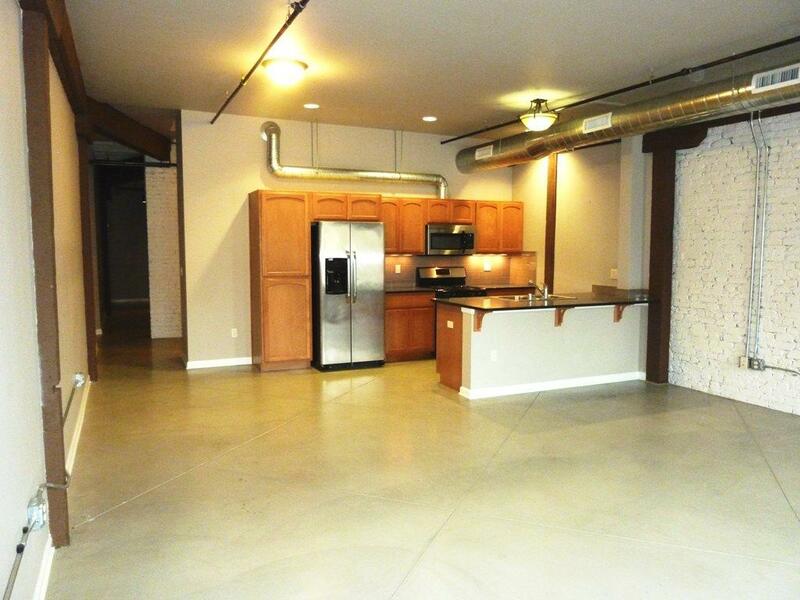 Live in downtown Spokane just one block from the Davenport Hotels and Steam Plant, close to restaurants shopping and theaters.